When done sustainably, a high-quality supply chain means true impact. So how can retailers communicate the sustainable efforts of the brands they carry, demonstrate value and win these consumer dollars? Unlike other clean label benchmarks like cutting artificial ingredients or adding nutrients, sustainability is not a box to be checked. Instead, it’s a network of interrelated initiatives. Take just one aspect of sustainability: utilizing environmentally friendly farming practices. In order to achieve this, suppliers must invest in farmer education. They’ll need to finance expensive nontoxic pest control, examine the crop’s impact on surrounding environments, including local animal habitats, and oftentimes invest in years-long certification initiatives such as USDA Organic, Fair Trade USA or Rainforest Alliance Certified. And this is just one sustainability goal. Imagine adding in initiatives such as social issues, climate change and local economies. At the same time, consumers want it all—flavor, transparency, sustainability. The good news is that they’re willing to pay more for it. And, they should, as sustainable supply chains and products require a lot more resources than their conventional counterparts. Sustainability continues to evolve but third-party certifications still play a big role. Certifications such as USDA and Rainforest Alliance Certification carry with them a price tag, years of on-boarding and continuous assessments. It’s an ongoing investment. 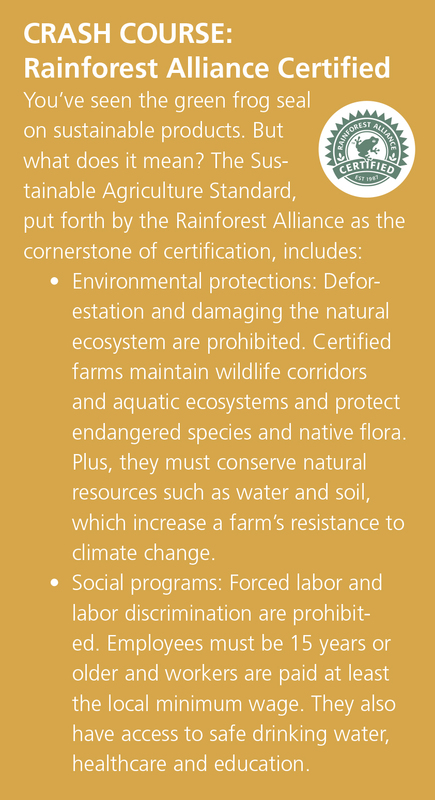 In order to achieve Rainforest Alliance Certification, for example, farms must pay for an audit and expert review. Today's sustainable brands build on certifications to ensure that every step in the supply chain is designed around a greater benefit. This alone can justify a higher price tag for many shoppers. But according to New Hope Network’s industry trends report, the NEXT Forecast, certifications are just the beginning: Today’s sustainable brands build on certifications to also ensure that every step in the supply chain is designed around a greater benefit. This is easier for some ingredients than others. 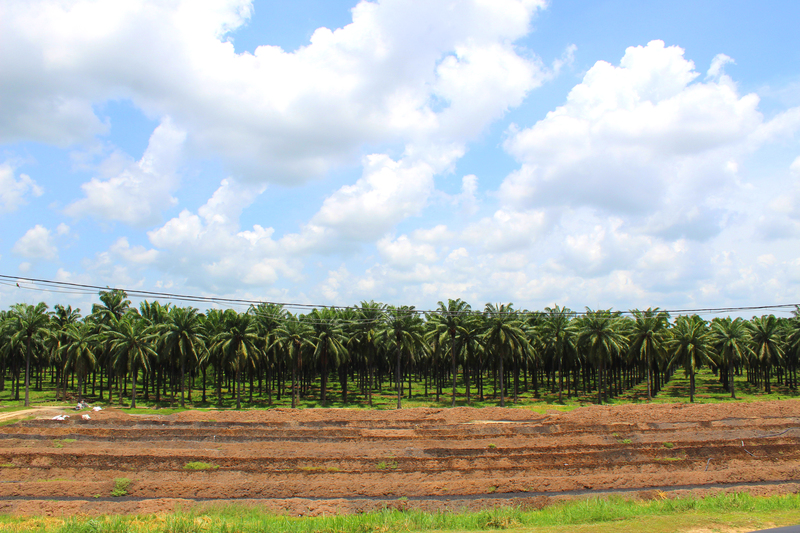 Video: See how sustainable palm can support the environment and cultivate jobs and communities. For decades, deforestation was the land management technique of choice, decimating local ecosystems as a result. Plus, conflict palm has been linked to unfair labor practices. In cases like this, a certification isn’t enough. Instead, sustainable companies must create a better system from the ground up. The bottom line is that a more sustainable supply chain is a more expensive supply chain. But with this investment comes consumer loyalty. According to research from Nielsen, more than half of U.S. consumers are willing to pay more for products from companies that are making a positive social or environmental impact. Plus, Mintel says consumers are willing to spend 31 percent more on foods that align with their values around clean, ethically sourced and natural ingredients. So how can retailers communicate the sustainable efforts of the brands they carry, demonstrate value and win these consumer dollars? First, tell the sustainable story behind a brand; it will resonate with shoppers. Even better if retailers can help quantify the impact of a shopper’s purchase through farmer stories about better wages, fairer practices or increased access to education and health care. Education surrounding certifications is also important, as many shoppers are still confused. Providing information on clearly defined third-party certifications such as Fair Trade, Rainforest Alliance, USDA Organic, Non-GMO Project Verified and others will help clear up the confusion surrounding sustainability efforts and legitimize the higher price tags associated with products carrying such seals. Video: Daabon's farms were the first organic palm oil farms to also earn Rainforest Alliance certification for their sustainable practices.